Rogue agent! 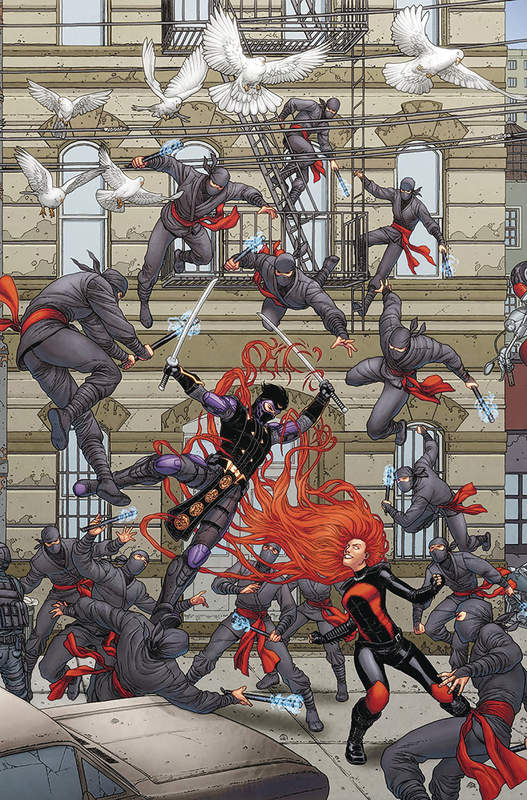 The pulse-pounding expansion of Valiant's upcoming, live-action digital series wages its most dangerous gambit yet as Colin King - aka the international super-spy codenamed Ninjak - battles his way through his former friends and allies! Ninjak's arch-nemesis - the deadly and cunning assassin Roku - has manipulated MI-6's most dangerous asset into turning on his former masters and stealing an object of immeasurable power. So who can MI-6 send to stop him? EVERYONE! The bone-cracking showdown of a lifetime continues here as Ninjak battles X-O Manowar, Bloodshot, Livewire, Archer & Armstrong, and all of Valiant's most formidable heroes!